24 At a lodging place on the way,the LORD met Moses and was about to kill him. 25 But Zipporah took a flint knife, cut off her son’s foreskin and touched Moses’ feet with it. “Surely you are a bridegroom of blood to me,” she said. 26 So the LORD let him alone. The great majority of European freshwater fish are members of the carp family, including: carp, tench, bream, gudgeon, barbel, dace, rudd, roach, chub, minnows and goldfish. Carp have 98 chromosomes. Humans have only 46. In 1994, 35,000 Americans insured themselves against being kidnapped and eaten by aliens. A person who doesn’t laugh, or seems incapable of laughter, is called an agelastic. Prince William and Kate Middleton both attended the University of St Andrews – more St Andrews students marry each other than at any other British university. With nearly an estimated 3 million species, insects account for approximately two-thirds of all known organisms. Because of this enormous amount of species in the Insecta class, even entomologists have difficulty identifying the differences, as those are often subtle or even invisible without the use of a microscope. 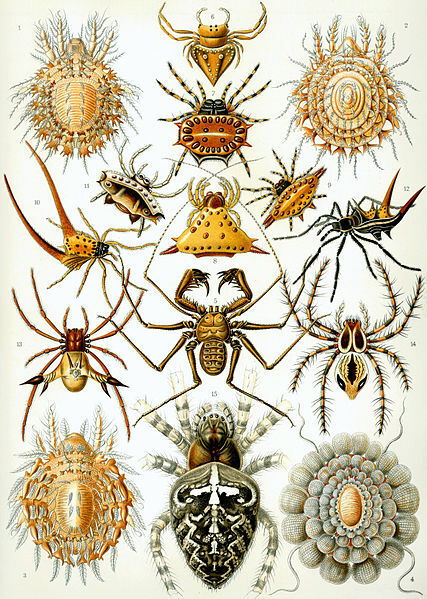 The Insecta class belongs to the phylum Arthropoda (animals that have an exo-skeleton), as do spiders, or Araneae, which are often mistakenly classified as insects but actually belong to the Arachnida class along with scorpions, ticks and mites. The same goes for millipedes and centipedes, earthworms and snails and slugs, who belong to the Myriapoda, Lumbricina and Gastropoda classes respectively. The word consists of the Greek words entomos, meaning ‘insect’, and logos, meaning ‘study’ or ‘science’. The Greek entomos and the Latin insectum both mean ‘divided’ or ‘cut in half’ – the affix sect- is also used in words like section and sector, both meaning ‘division’. The word insectology does exist, although entomology is more widely used. Entomology originated in the 18th century, when specialists started using that name instead of the less elegantly sounding insectology. Moreover, the word insectology is a combination of Latin (insectum) and Greek (logos) roots, whereas the word entomology is entirely Greek. Insectology is recorded in the New Oxford Vol. I English Dictionary as a synonym for entomology. The word ampersand is the name for the symbol &, which is in fact a stylized form of the Latin et, meaning ‘and’. It had been used by the Romans since the first century B.C., but the symbol got its strange name in the 1800s, when schoolchildren were taught that & was the 27th letter of the alphabet. They ended their ABCs with ‘&, per se, and’ (per se being Latin for ‘by itself is’). The phrase eventually evolved into one word that is used now: ampersand.